Tee's Blurbs: 3 countries, 1 day. the original plan was to conquer two countries in a day. wow, that was (and does sound) ambitious. but with a recent addition to the plan, we went to three! the day was filled of nice sights and views, including a view of several UNESCO world heritage sites. it also helped that the three cities were just practically neighboring places, with around 45-65 km. apart from the other. Trier (or Treves), Germany is the oldest city in Germany, founded in or before 16B.C. the Romans subdued it around 1B.C., thus the influence of Roman architecture is prevalent in the city. 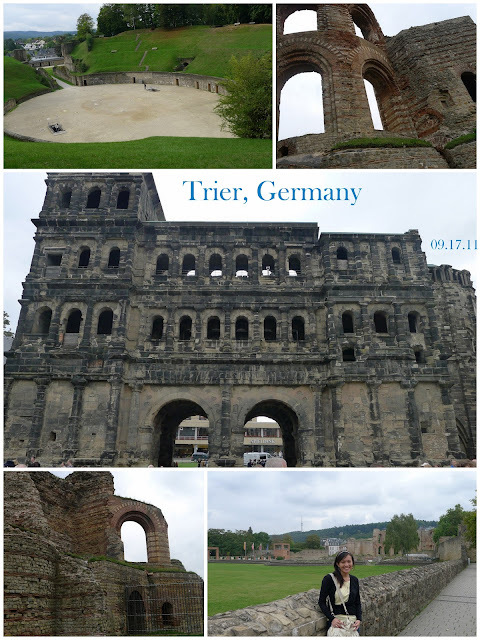 We visited the Porta Nigra (Black Gate), Roman bath ruins, Trier Cathedral and the Roman Ampitheater. 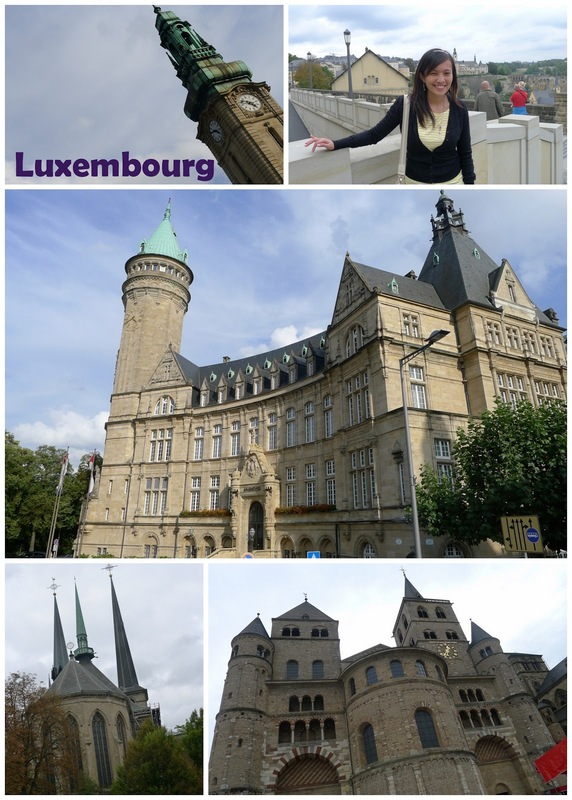 Luxembourg borders between Belgium, Germany and France, making the 3 country a day a feat. getting around there was a challenge - i'd like to call this leg "lost in Luxembourg". with lack of maps and just addresses to the main attractions and the car's GPS taking us to an incorrect address, well, we were in deep trouble. after walking around, we decided to do the hop-on/off bus tour to take us around the city. in Luxembourg, we got to see the magnificent Notre-Dame Cathedral, Grand Ducal Palace which houses the duke and his family, the Bock Casemates and quite a number of historical buildings and great architecture. last stop. Metz, France. it is a city in the North-East part of France and is located at the tripoint along the junction of France, Germany and Luxembourg. 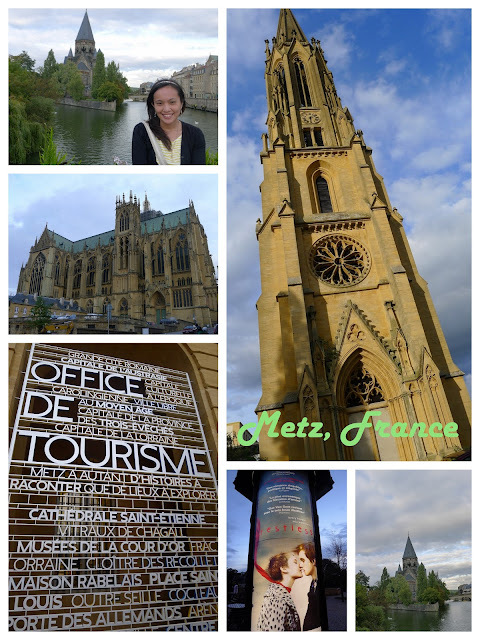 it was almost dusk when we got to Metz but that didn't stop us from looking around what the city has to offer. i found the iconic Protestant Temple Neuf in the Garden of Love and the Temple Evangelique de la Garnison very fascinating. Saint Étienne de Metz (St. Stephen of Metz) Cathedral was a gothic wonder too, which slightly reminded me of St. Vitus' Cathedral inside Prague Castle. and so it was lunch at Germany, afternoon stroll at Luxembourg and dinner at France! 3 countries at one day isn't impossible after all.